The Francis Scott Key has been fully restored to bring sophisticated urban living to the downtown City of Frederick. Located in the heart of a National Register Historic District, the building blends residential apartments and a charming history filled streetscape to create a one of a kind living experience. 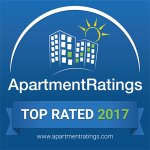 The one, two and three bedroom apartments in Frederick, MD are thoughtfully appointed with you in mind, and feature large closets, individually controlled heating and air conditioning controls and individual washers and dryers. Residents also have access to a complimentary business center and wireless access in the mezzanine and lobby. Garage parking is available. The Francis Scott Key Hotel Apartments is a proud participant in the *Federal Tax Credit program, also known as LIHTC. As a participating property, some of our apartments have *household income limits and rent restrictions, thus making our community more affordable to many. The LIHTC program differs greatly from a traditional subsidy in that residents are responsible for paying 100% of the rent themselves. There is no government contribution. Please see our “Living Programs” page for current income restrictions.